The vote on the Second reading of the Government’s Article 50 Bill was not about whether parliament wanted a rerun of the referendum, but on whether article 50 should be triggered now, and if so on what basis. The Supreme Court decided that the Government could not proceed to invoke Article 50 and thereby set the wheels in motion for a UK exit from the EU within a strict timetable of two years without a parliamentary vote on Article 50. The implication of this is that Parliament should debate this and decide on when and how Article 50 should be triggered. The response of the Government was to produce a four line bill with no information about how negotiations might proceed and on what lines any negotiations might go along whilst claiming that anyone who did not support the Bill was going against the result of the referendum. What information we did have before the vote on the Second Reading of the Bill was that the Government intend for us to have a very hard ‘Brexit’ – that is to abandon any association with the European Single Market, and to seek very little participation in any of the EU’s institutions in the future. This is not a reasonable basis either for an informed debate in Parliament about the implications of triggering Article 50 now, or for a decision about the future direction of the UK once the two year process of withdrawal is complete. The referendum vote did not give any guidance about this: we simply decided by a narrow majority that Britain would leave the EU. There is a world of difference between a negotiation that seeks a good deal for British industry, maintains association with the EU on matters of British national interest, and gets the best terms for the UK in the future, and pushing a button on an exit that dumps the UK out of all its associations with nothing to take their place. I do not think most people who voted in the referendum thought that the latter outcome was what they were voting for. I do not think that rushing into triggering Article 50 without clarity on what we will be doing is in our country’s best interest, and I was not prepared to stand by and allow us to go down what I regard as a potentially very dangerous path for the UK. The first stage of the Bill is, however, complete and there will now be an opportunity to try and win amendments to the bill so that the Government is better guided in what it does in negotiations. I hope that some changes may be made, although it will not alter what I regard as a precipitate and ill-judged triggering of exit procedures. If no changes are forthcoming as the Bill makes its way through the stages of Parliamentary procedure, I will certainly be voting against it at Third Reading. 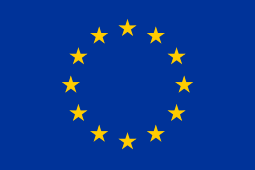 What am I going to do about the E.U. vote?